Of all of Hoover’s books this one has the lowest average rating on Goodreads and for the life of me I don’t know why. I really liked this book! First off I would not consider this a romance. Yes there is a love story in it but that is not the main focus. 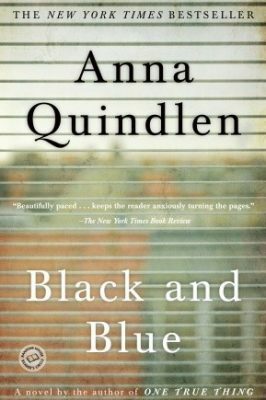 This novel is about a dysfunctional family and how keeping secrets can eat you from the inside out. To some people Merit may be a difficult person to root for but from the start I was so invested in her life. Even when she seemed to acting out and being a brat I was still wanting her to succeed. This book deals with some heavy topics like depression, suicide, closeted homosexuality, molestation, extramarital affairs, and more. And that is all in one family! Some of the negative reviews were about how Hoover didn’t seem educated enough to delve into a lot of those topics but in my opinion she did it well. By the end of the book you love characters that at the beginning seemed unredeemable. I loved how the earth shattering climax, where all the secrets come to life, propels the second half of the book. I have yet to be disappointed in a book written by Hoover. I can’t wait to read the next one on the list! From this point forward, his life becomes a bizarre kaleidoscope of events. Meanwhile, the Peace family is forced to question everything they thought they knew about gender, sexuality, unconditional love, and fulfillment. 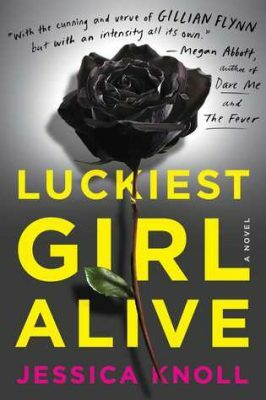 I really wanted to love this book, unfortunately that was not the case. I will say the beginning I enjoyed, it really pulled me in but then slowly it started to lose my interest. 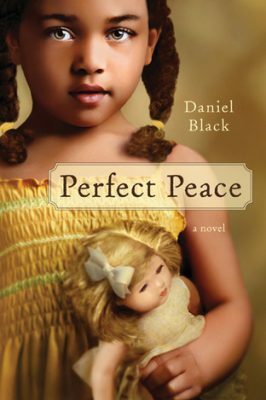 I liked the idea of the story of Perfect, however the author did not do the best job of telling it. That story could have very well been the main part of the book but about halfway through the author tried to bring in way too many of the other character’s stories. It got very convoluted. It also skipped around all over the place at times and it just didn’t flow when it happened. I will say I loved the characters, even with their flaws. They were the only part that saved this book for me. The author could have very easily made a few books about the members of the Peace family, focusing more on each member of the family, and I probably would have enjoyed them more. It was a struggle to finish it. I see a lot of people enjoyed this book, maybe I am missing something, but I definitely don’t agree with the high rating on Goodreads. Final verdict: skip. This is the remarkable story of one endearing dog’s search for his purpose over the course of several lives. 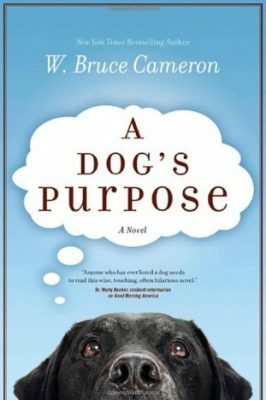 More than just another charming dog story, this touches on the universal quest for an answer to life’s most basic question: Why are we here? 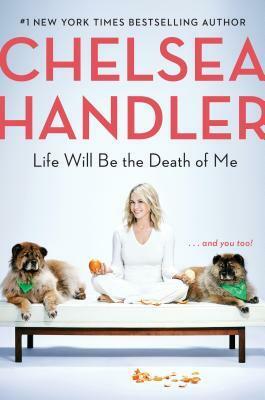 Heartwarming, insightful, and often laugh out loud funny, this book is not only the emotional and hilarious story of a dog’s many lives, but also a dog’s eye commentary on human relationships and the unbreakable bonds between man and man’s best friend. This story teaches us that love never dies, that our true friends are always with us, and that every creature on earth is born with a purpose. This book was really cute. The story won’t blow you away but it was a feel good type of read. It definitely made me appreciate my Charlie more that is for sure. There were quite a few parts that made me giggle and, of course, parts that made me sad like each time the dog passed on to the next life. I like to think this really happens with dogs. They don’t nearly live long enough so it is nice to think they are reborn to provide love for another family. This is a quick read, I read it in a day so if you want something not too heavy this is a great pick. People say Beartown is finished. A tiny community nestled deep in the forest, it is slowly losing ground to the ever-encroaching trees. But down by the lake stands an old ice rink, built generations ago by the working men who founded town. And that rink is the reason people in Beartown believe tomorrow will be better than today. Their junior hockey team is about to compete in the national championships, and they actually have a shot at winning. All the hopes and dreams of the town now rest on the shoulders of a handful of teenage boys. A victory would send star player Kevin onto a brilliant professional future in the NHL. It would mean everything to Amat, a scrawny fifteen-year-old treated like an outcast everywhere but on the ice. And it would justify the choice that Peter, the team’s general manager, and his wife, Kira, made to return to his hometown and raise their children in this beautiful but isolated place. 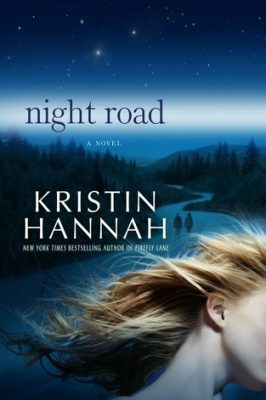 Being responsible for the hopes of an entire town is a heavy burden, and the semifinal match is the catalyst for a violent act that leaves a young girl traumatized and a town in turmoil. Hers is a story no one wants to believe since the truth would mean the end of the dream. 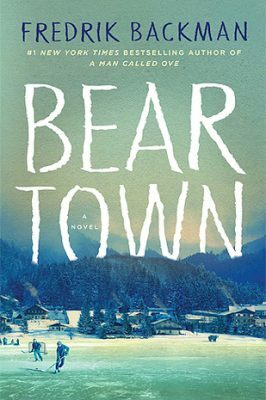 Accusations are made, and like ripples on a pond, they travel through all of Beartown, leaving no resident unaffected. 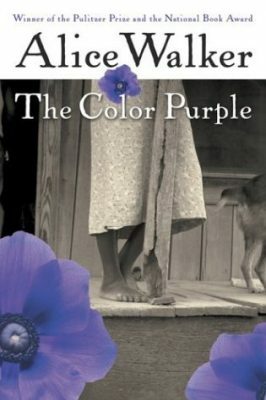 Never have a I loved a book so much that made me so angry. First glance this book is about hockey but it is about so much more than that. From the first chapter I was hooked. I mean how can you not get instantly hooked when a book starts by saying “Late one evening toward the end of March, a teenager picked up a double-barreled shotgun, walked into the forest, put the gun to someone else’s forehead, and pulled the trigger. This is the story of how we got there.” I mean HELLO! That is probably one of the best first chapters I have ever read. Short and simple yet pulls the reader in instantly. 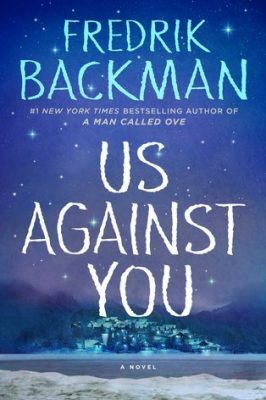 This is a completely different book than A Man Called Ove so if you are expecting a book like Ove you may be disappointed. In fact it is on the exact opposite spectrum. I don’t want to give too much away but this book is a must read. It will make you extremely angry, especially if you are a woman, but it is worth it. I come from a baseball family, my father played professionally, so I know all about “locker room talk” and all that entails. This book accurately portrays the entitlement that some star athletes have. It is infuriating but unfortunately is forgiven a lot, especially in places where that sport is a big part of the culture of that town. Just be prepared to want to scream at some of these characters and their choices. Sorry for all the quotes. I told you I loved this book! Ha!